Roasted tomatoes taste like candy. They are my favorite pizza topping. Especially on grilled pizza. I LOVE to make homemade pizza. It's my go-to meal when we have people over. The pizza places that we live by are just OK, so I make pizza 3-4 times a month. I like to make a margarita pizza with roasted tomatoes and tons of garlic and fresh basil. The tomatoes are like jewels on the pizza and they are so sweet and delicious. 1. Wash and cut all the tomatoes in half and squeeze out the gel. 2. Place tomatoes on a pan covered in aluminum foil and spray oil. 3. Coat tomatoes in olive oil. 4. Sprinkle salt, pepper and oregano over the tomatoes. 5. Place pan in the oven on the top rack and turn the broiler on high. 6. Set your timer for 5 minutes and check the tomatoes and toss every 5 minutes. Tomatoes are done when they start turning black on the edges. This usually takes me 15-20 minutes, but all broilers are different, keep a close watch! 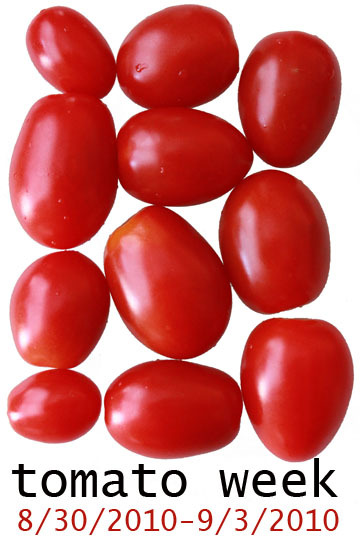 Once the tomatoes are cool, use them to top pizza or even pasta or salads. I know what you are thinking, I want to make that pizza! Pizza week is coming this fall, be patient! !